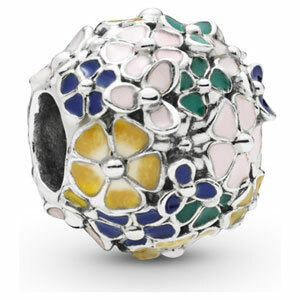 Add everlasting flowers to your bracelet with this vibrant flower charm in sterling silver. Decorated with multiple flowers in varying sizes, colored by hand with enamel, it brings beauty and dimension to bracelets. Learn more about the materials and methods PANDORA uses to create their jewelry. Need some ideas? View our staff's own "Personal PANDORA Stories".